Holden Bishop was a man who stood up for what he believed in. Coming from the poor side of the town, his defiance made him the target of the privileged and ignorant populations. Michaela Paige was the popular princess everyone wanted to be or be with. Being the daughter of one of the prominent family, she had a life served on a silver platter. 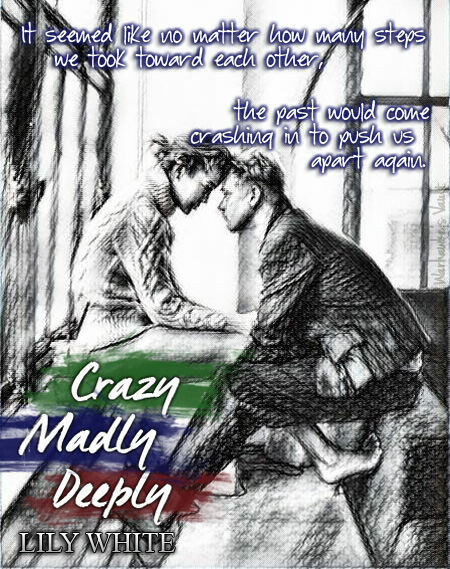 But things weren’t always what it seemed especially when hers and Holden’s life collided to a rude awakening. Perhaps truly loving a person can bring out their best qualities. Perhaps forgiveness can lift the veil of remorse to reveal the true character lingering beneath. I think it’d be hard for anyone not to feel for Holden. I have a lot of respect for him for refusing to be “normal”. He learned to endure everything thrown his way. I often wondered what it felt like to not want to fit in, wondered if the freedom that came with it was worth the stupid taunts and contemptuous pranks. Michaela on the other hand was the complete opposite. Everything she did had to be thought with careful considerations. Her life was stifling and she had to learn to overcome the fear of expectations. 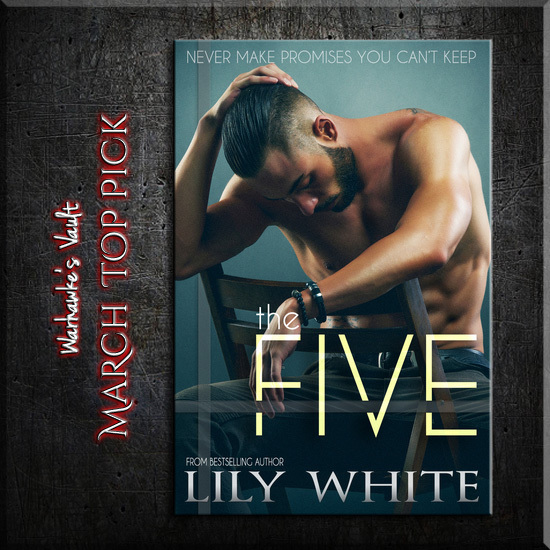 I’ve always love Lily White’s dark books. If this is how she writes her contemporary romance, I’ll love them too. The story wrung out various emotions from anger and hate, to fear and sorrow. I could put myself in the situations and feel for the characters. I also like how the characters evolved throughout the book. You don’t know pain until it’s written plainly across a loved one’s expression. You don’t know loss until you have no choice but to stare it in the eyes and watch helplessly while it destroys a beautiful person. 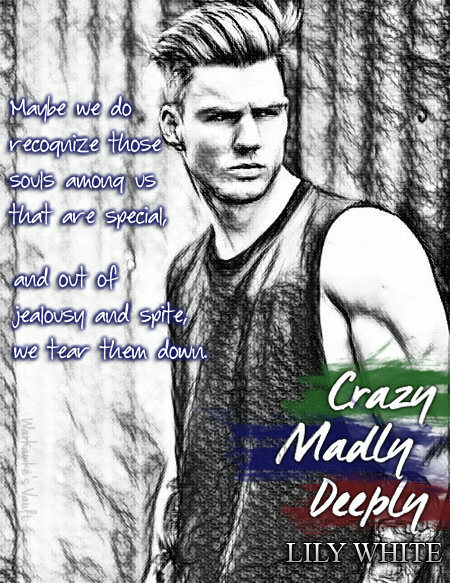 Crazy Madly Deeply is a story of overcoming fear and rising up to stand tall. 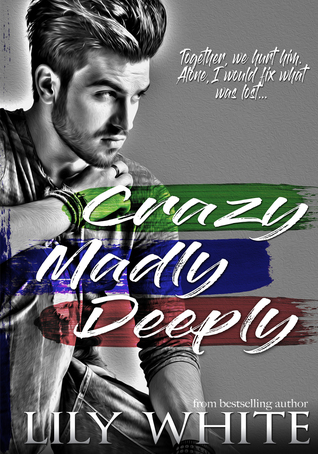 It would appeal to readers looking for engaging romance that focuses on both love and life.